During a successful first day, on Monday 4th July 2016, the first family group of elephants was captured in Liwonde National Park and loaded on to trucks to make the 300km road journey to their new home in Nkhotakota Wildlife Reserve, Malawi. So begins the story of one of the most exciting wildlife conservation projects and largest translocations of elephants in Africa. With populations of elephants across Africa under serious threat, African Parks, in cooperation with the Department of National Parks and Wildlife, has undertaken to move up to 500 elephants from Liwonde National Park and Majete Wildlife Reserve, where populations are too high for these conservation areas to sustain, to the 1,800 square kilometre wilderness of the Nkhotakota Wildlife Reserve. The translocation will take place in two phases, with approximately half of the elephants being moved in July-August 2016, along with approximately 1200 other animals; comprised of sable, buffalo, kudu, wildebeest, warthog and impala. The second phase will be at a similar time in 2017. We will be following this incredible return of large numbers of wildlife to Nkhotakota Wildlife Reserve through our blog and #elesnewhome, as the animals are released and settle into their new habitat over the coming months and years. What is a translocation? This is the process of capture, transport and release of wildlife species from one area to another. It is used as a means of conservation, in order to reduce the risk of extinction by increasing the range of species and supplementing small populations with fresh genes from other areas, particularly from locations where the numbers have become too high for the habitat to sustain. This wildlife translocation is taking place from Liwonde National Park and Majete Wildlife Reserve to Nkhotakota Wildlife Reserve, further north in Central Malawi; all 3 of which are now under the dedicated management of African Parks. How will the elephants be translocated? A team of globally renowned experts has been assembled by African Parks to carry out this mammoth (pardon the pun), challenging and very specialised operation. Elephants are darted from helicopters, loaded by crane on to trucks and awoken in a specially built crate, before being transported the 300 km from Liwonde to Nkhotakota. On arrival in their new home, they will be released into a small holding facility, protected by electric fencing and provided with food and water. After 12-24 hours they will be released into the wild of the reserve, but within a specially constructed 16,000 hectare sanctuary. Eventually fencing of the entire reserve will be complete and the elephants will be allowed to disperse into the vast miombo woodlands. Over 100 years ago more than 10 million elephants roamed Africa and now less than 450,000 remain, with populations declining at an alarming rate, largely due to illegal poaching for their ivory, as well as human-wildlife conflict, habitat loss and fragmentation. It is estimated that Nkhotakota was previously home to approximately 1,500 elephants, but now only about 100 remain. The smaller reserves of Liwonde and Majete, in contrast, are at their maximum capacity, with the elephant numbers causing degradation of the habitat in both and human-wildlife conflict presenting a major problem in Liwonde. There are no natural corridors for elephants to migrate between parks and so they are reliant on African Parks to move them to the sanctuary of Nkhotakota Wildlife Reserve, where they can enjoy the adequate habitat and safety necessary for their survival. 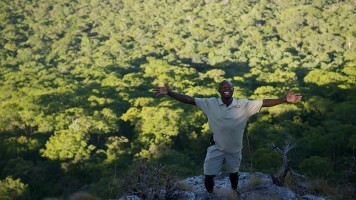 What is African Parks? African Parks is a renowned non-profit conservation NGO, which took on the management of Nkhotakota Wildlife Reserve and Liwonde National Park in Malawi on Wednesday 22nd July 2015. Prior to this, African Parks already had responsibility for the rehabilitation and long-term management of eight national parks and protected areas in seven countries – CAR, Chad, Democratic Republic of Congo, Malawi, Republic of Congo, Rwanda and Zambia. Working in partnership with governments and local communities, their ethos is that making wildlife parks socially and economically viable, particularly for the benefit of local communities, will contribute to their survival in the face of competing forms of land use. The addition of Liwonde and Nkhotakota brings the figures to 10 national parks and 6.15 million hectares under their management; an area larger than The Netherlands. It is estimated that approximately $18m will be invested in the two parks over the next five years thanks to key donor partners of African Parks, including the Dutch Post Code Lottery, which has made the “500 elephants” translocation possible. The final phase of the historic ‘500 Elephants’ translocation is underway! Last year we moved 260 elephants across Malawi. So far this year, 50 have successfully been moved and another 190 are on their way. Why are we moving elephants? To ensure their long-term survival so they can be free of threats, breed and thrive. In two of the three parks in Malawi under our management, elephants are thriving, but they need more space. In order to reduce human-wildlife conflict and pressure on natural habitats, we’re moving them to a new park that has enough room and the safety needed for this herd to grow. Tremendous planning and care has gone into this project – from overhauling law enforcement to make their new home safe from poachers, to ensuring the individual well-being of each and every elephant. CNN was there on the ground with us during the first week of this historic move to help tell this hopeful story. You can see their exclusive footage here. This translocation will continue over the next five weeks so stay tuned for more updates along the way! 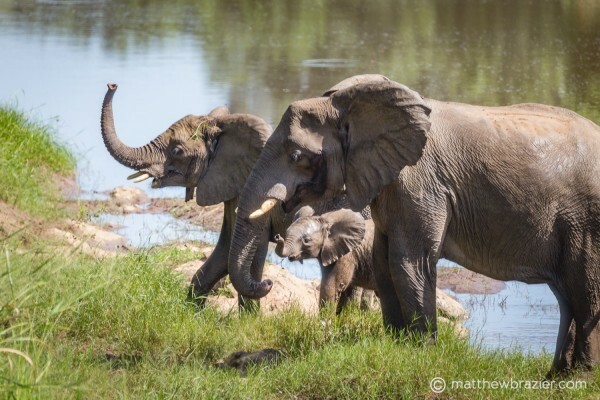 Do you want to help these elephants along their journey? African Parks is responsible for 90% of Malawi’s elephant populations and protects 15,000 elephants across the continent. We couldn’t do this without your support where 100% of donations go directly to our parks where it matters the most. Tongole looks forward to working in proud partnership with African Parks for the benefit of wildlife conservation in and communities surrounding Nkhotakota Wildlife Reserve. To keep up to date with the developments, as this incredible story unfolds please keep checking back and follow #elesnewhome and #500elephants.